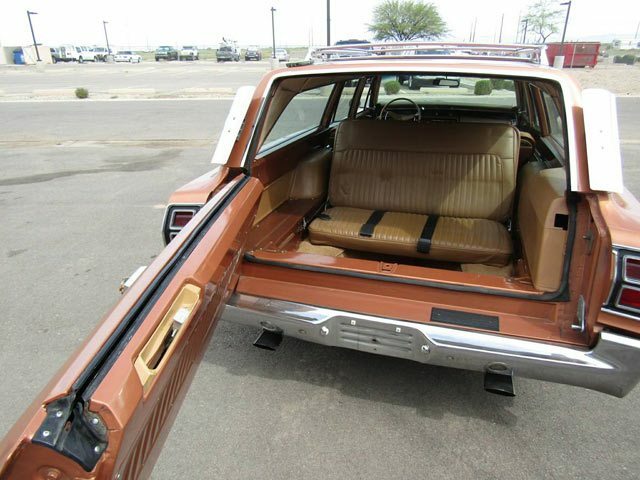 The wagon looks absolutely impeccable throughout and though the seller mentions a new high gloss paint job in the original Bronze metallic it would appear that other areas of the car were also refurbished or replaced or this is one amazingly maintained 114,00 mile car! The wood grain isn’t the applied vinyl but actually airbrushed. 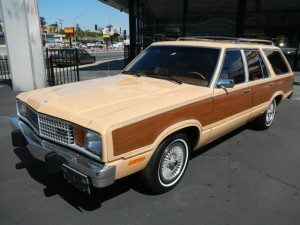 The seller says it’s a work of art that need to be seen close up and although I appreciate the craftsmanship, I would prefer the wood grain vinyl. 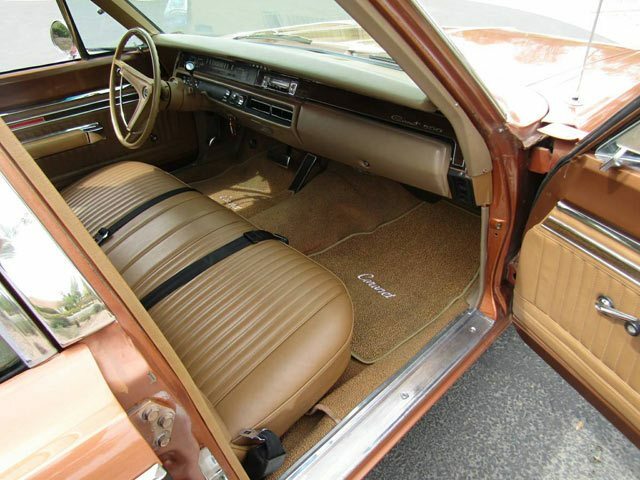 The interior works very well with the beautiful Bronze exterior and looks to be impeccable. The working and ice cold factory air is ready to keep passengers in comfort for the longest of road trips. Come around to the back and take your choice on how you want to open the dual-action tail gate. 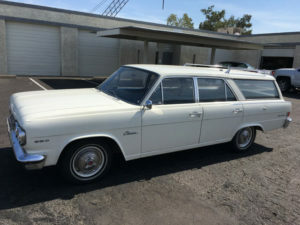 Only 991 Coronet wagons were 9 passenger models in 1969 and with so few surviving, this must be one of the nicest available. 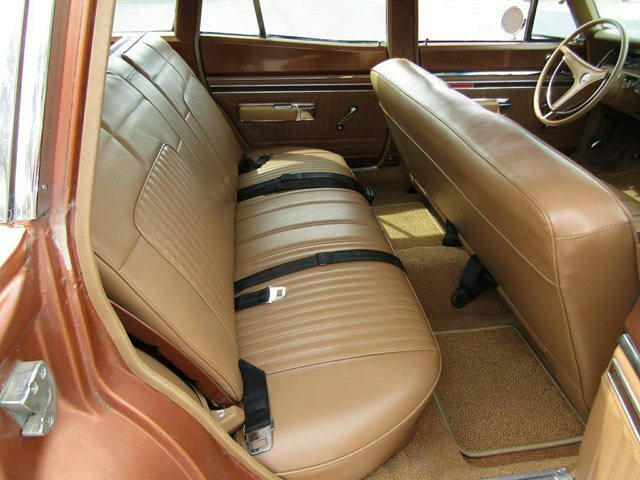 Like the front compartment of the wagon, everything looks to be perfect. 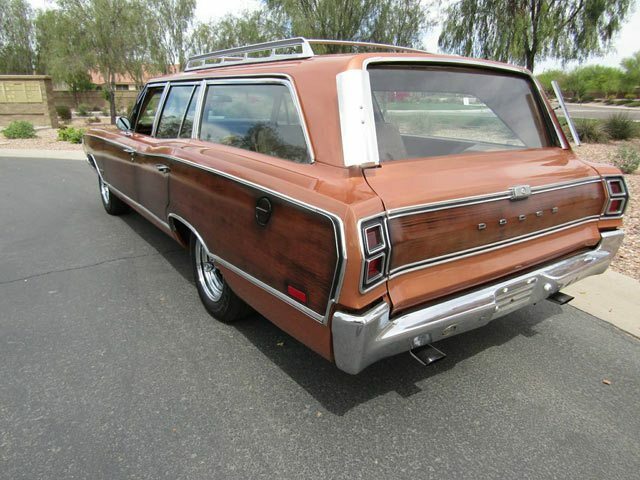 The rear window deflectors are almost a must on any old wagon and oh yeah, take a look at the dual exhaust. 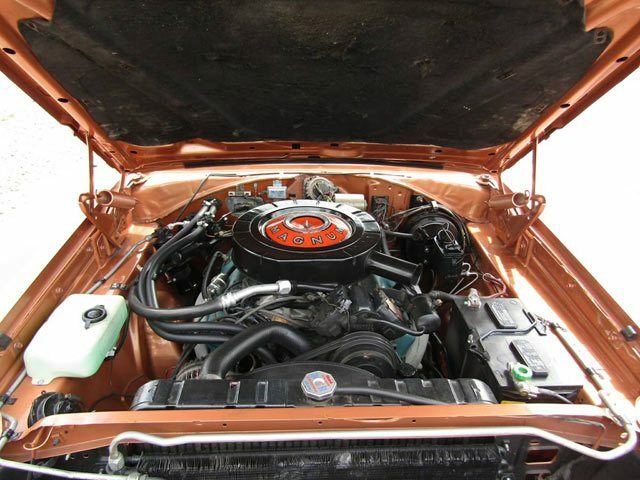 Is it any surprise that the engine bay is as clean as the rest of the car? Also include in the sale are two build sheets along with the original Coronet 500 wheel covers. 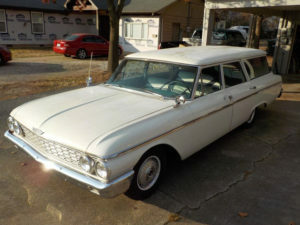 Combine the incredible condition, muscle car upgrades and a great color choice and this a fantastic car for station wagon and muscle car enthusiasts alike. 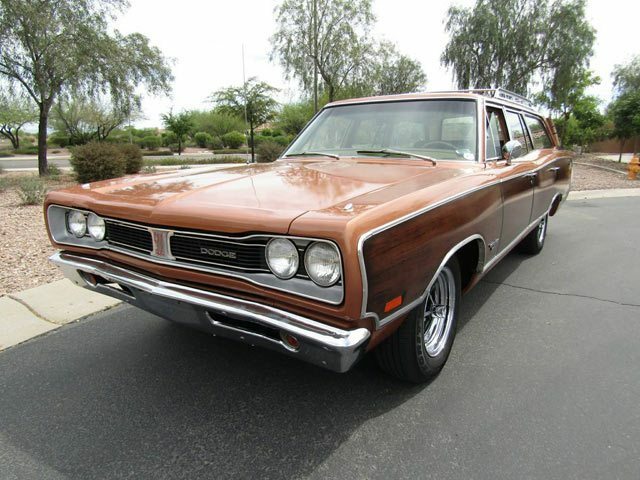 Lovely looking Coronet wagon. 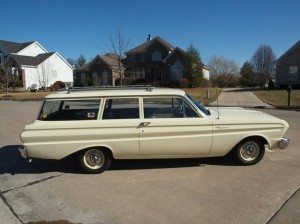 I’ve seen Dodge Coronets before, but never a station wagon. 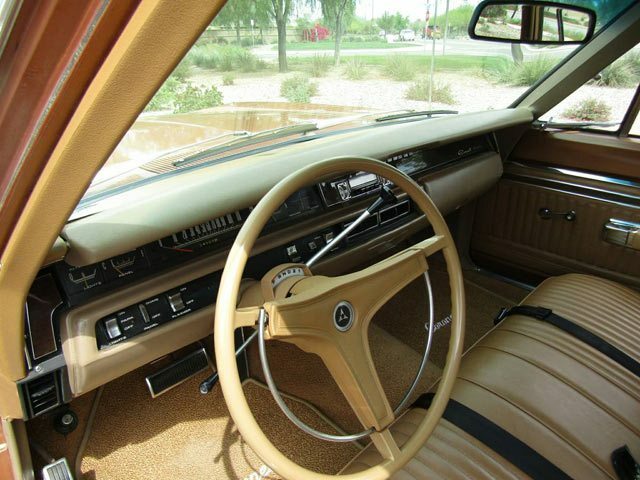 My favourite years for the Dodge Coronet are 1966, 1967, 1969, and 1970. 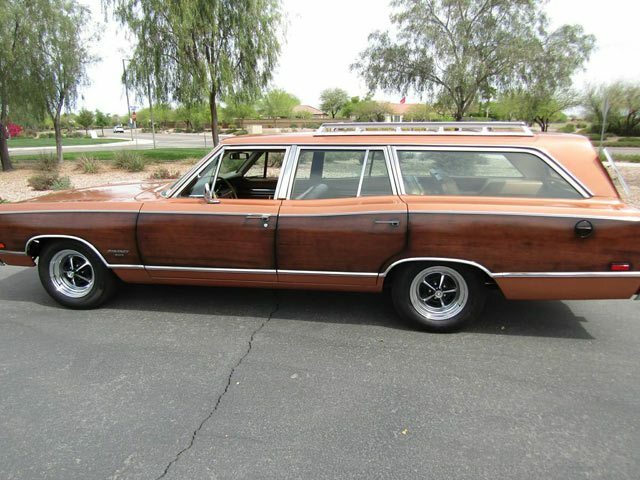 I’ve always liked the sedan and station wagon.